This is what a virtual booth looks like (see the next picture for a screenshot from the film it was based on). 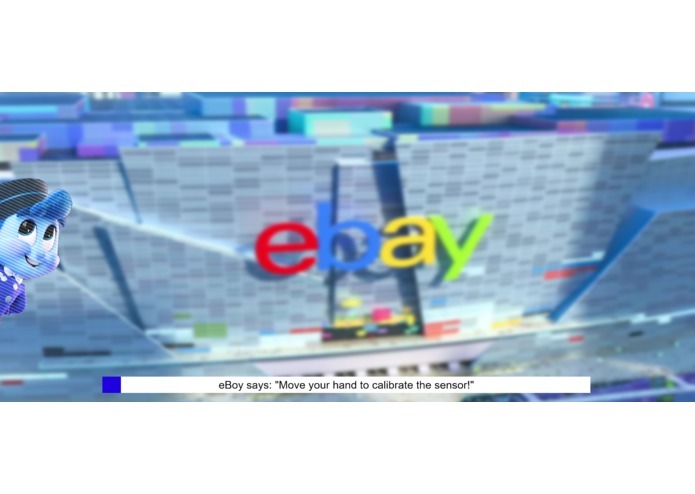 eBay was featured in Disney's "Ralph Breaks the Internet" (2018). This is the loading/calibrating page for Wreck-It Retail, featuring eBoy. 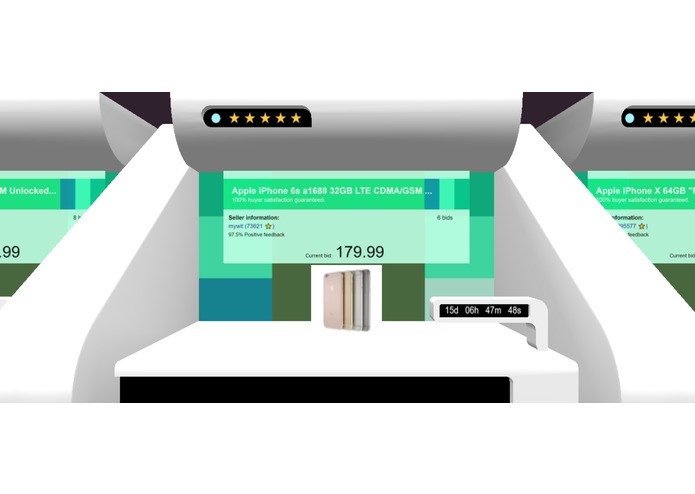 Here is another example of a product in its virtual booth. Users can swipe left or right to see other options, or swipe upwards to bid. After we watched Ralph Breaks the Internet last year, we fell in love with the vibrant, colorful ecosystem that the animators had crafted. We think it perfectly represents the dynamic energy of the Internet and its industries, specifically online commerce, which is growing stronger every day. 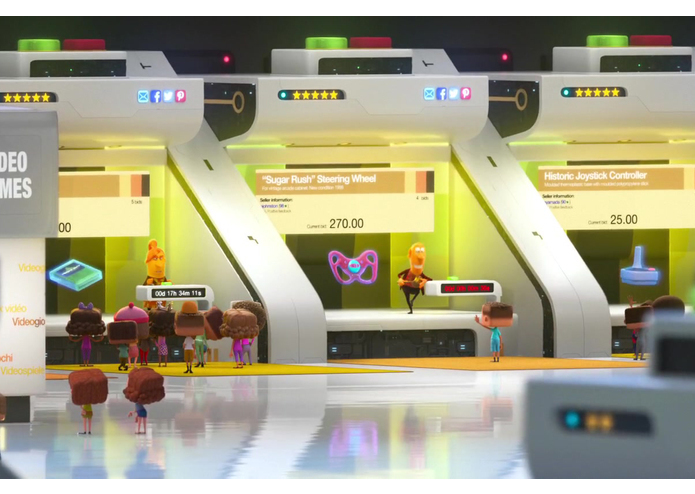 Using the eBay Developer Program's powerful APIs, we were able to recreate the Internet world of Wreck-It Ralph, fully populated with products from the eBay community. 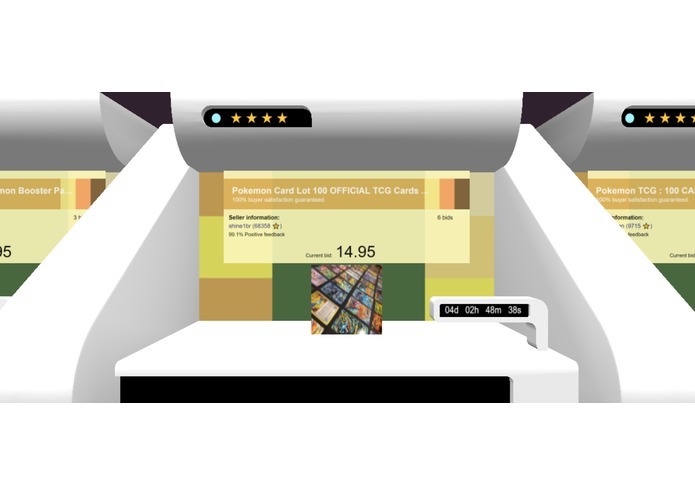 Moreover, by integrating Leap Motion computer vision controls, we were able to eliminate the need for a keyboard or mouse, making the shopping experience even easier. We hope you enjoy this fun combination of animation and hardware as you look for your next favorite purchase! Another huge component of the application is its use of hardware to make the eBay experience smoother and more accessible. It uses a Leap Motion controller to let users navigate the marketplace and make bids with simple swipe gestures. We use leapjs for web integration. We are excited to continue working on Wreck-It Retail and adding features, including posting things for sale and adding items to the user's watchlist. 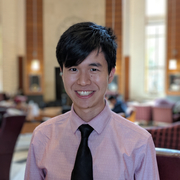 I used the eBay APIs to populate the booths with real, live data from the community, including bidding and seller information. I also integrated the LeapMotion controller, building a swipe gesture recognizer so that the user can explore the virtual market. I also animated the booths' rating systems and timers, and created the color schemes. I created the animated virtual environment using three.js, bringing 3D assets that I modeled and textured through a full pipeline from Maya to Blender, exported in glTF format to three.js. I handled the subsequent logic for 3D graphics within three.js, including positioning, scaling and lighting setup. I also used tween.js to animate the camera for a dynamic user experience.